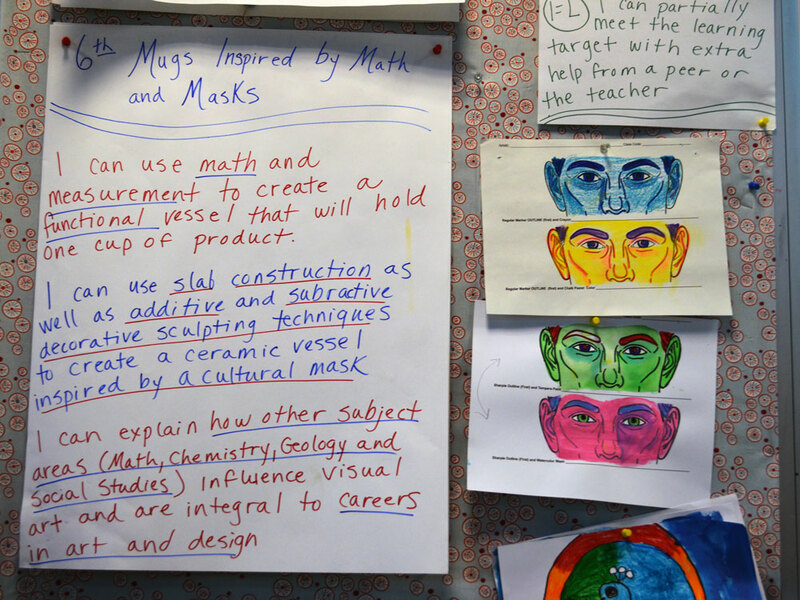 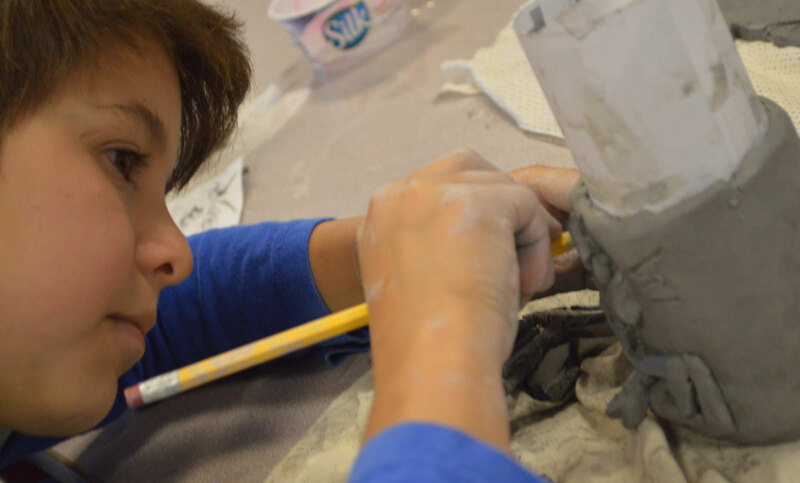 In Stephanie Cionca’s art class at Northern Trails ⅚ school, sixth-grader Theo Barnes recently put on his best “I’m working with precision here” face to trace a mask he had drawn on paper onto a clay cylinder he had formed. 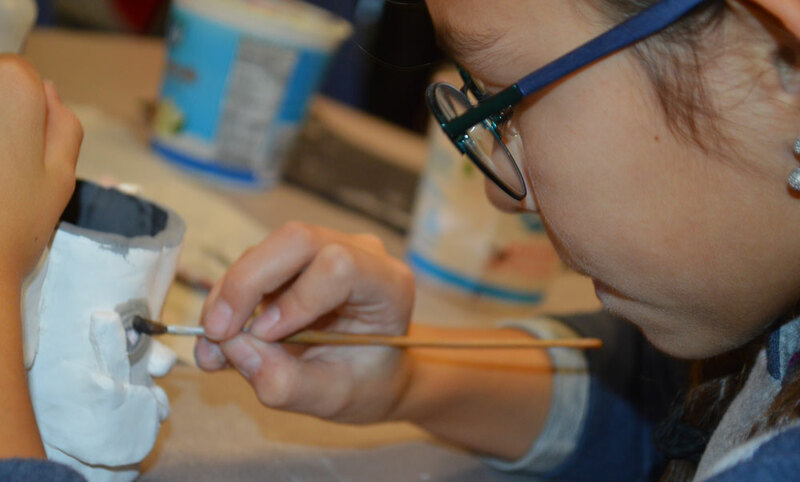 A few days later, Theo and his classmates added glaze — making sure to coat the oft-forgotten rim and to dab their brushes liberally into cracks and crevices, lest one day a drop of milk or juice serve as the perfect spark for bacteria to grow. 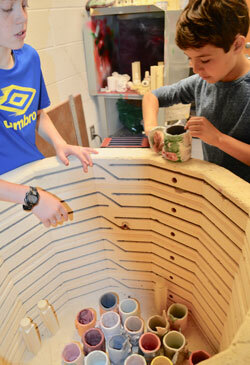 Then it was into the kiln for firing at 1,800 degrees Fahrenheit. 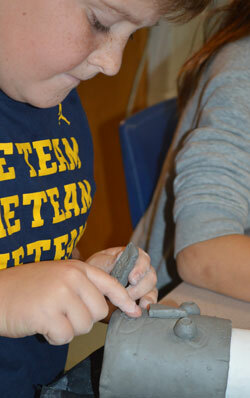 “When we add the heat, chemistry will happen,” Cionca told students. 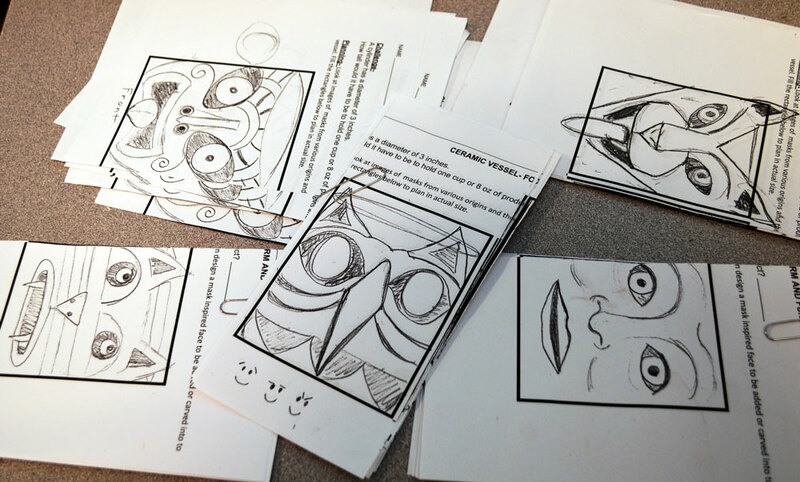 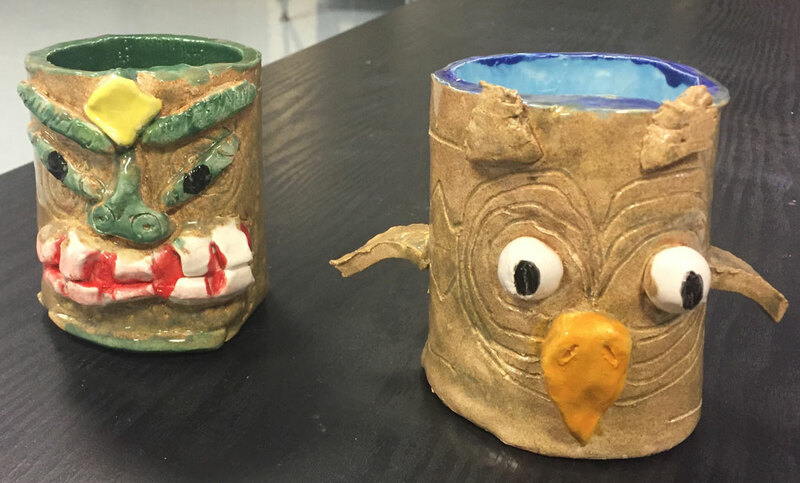 What came out were drinking vessels inspired by real-life cultural masks. 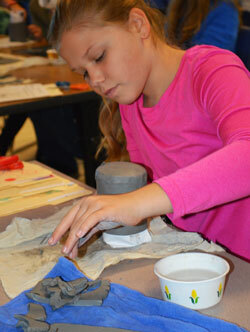 Her sixth-grade STEAM art students infused science, math, history and geography into their projects. 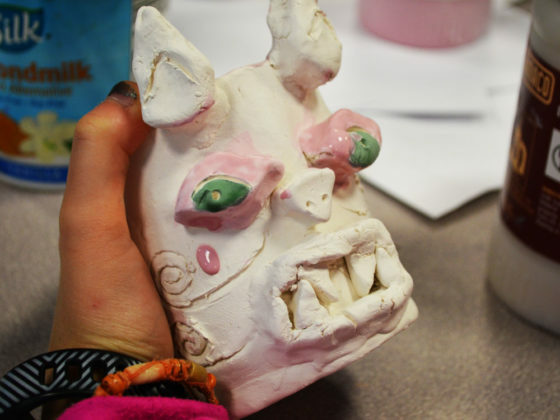 They studied Japanese Nôgaku masks, Northwest Coast Native American masks, and Maori meeting house masks to inspire their own creations, which depicted animals, exaggerated expressions and in some cases, lots of color. “Making it in general was kind of hard, but the glazing part was easy,” said Annika Raese. More math awaited even after the vessels had cooled. 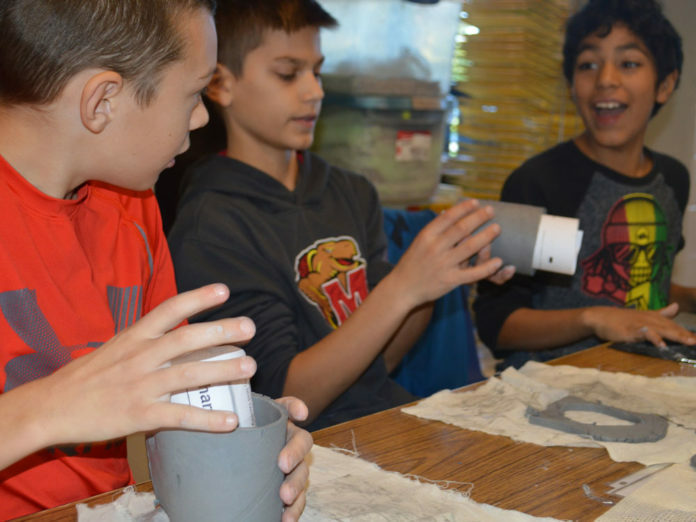 Students filled the inside with beans; if they had accounted correctly for a 25 percent shrink rate, the vessels would hold the same amount as before they were fired.